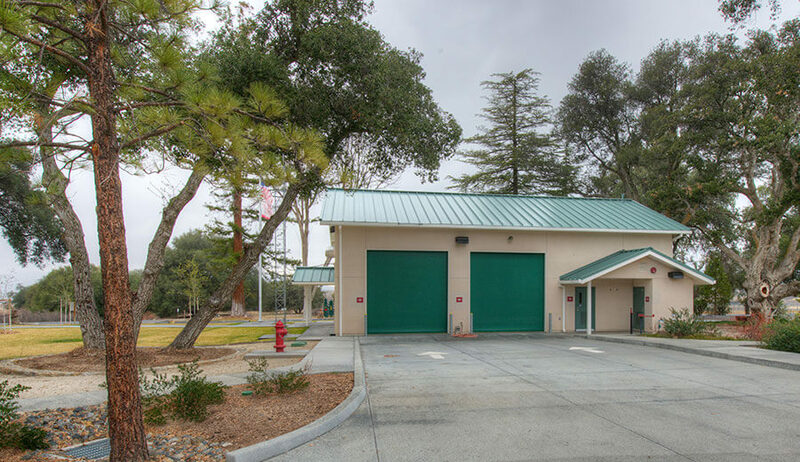 The Warner Springs Fire Station consists of new construction of 11,000 square feet and demolition of an existing building, helping improve the security and protection of the neighborhood where it resides. 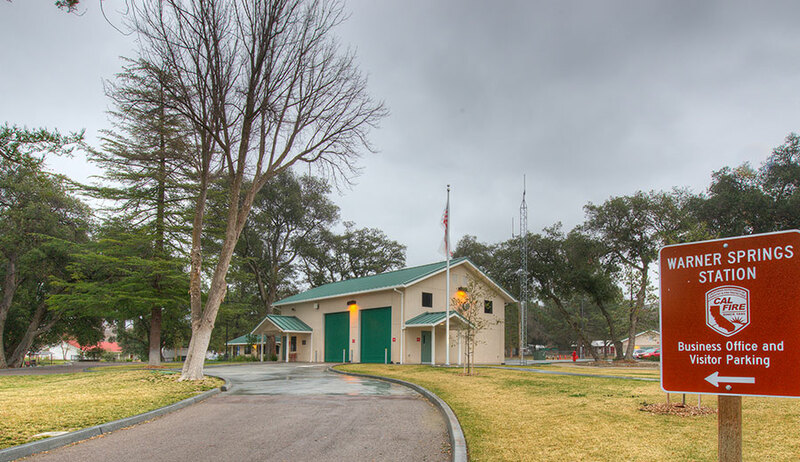 It is composed of four separate buildings that create a harmonious aesthetic to its surroundings: a new barracks, an apparatus bay, an administrative space that was a conversion from the exiting barracks, and a new pump-house. 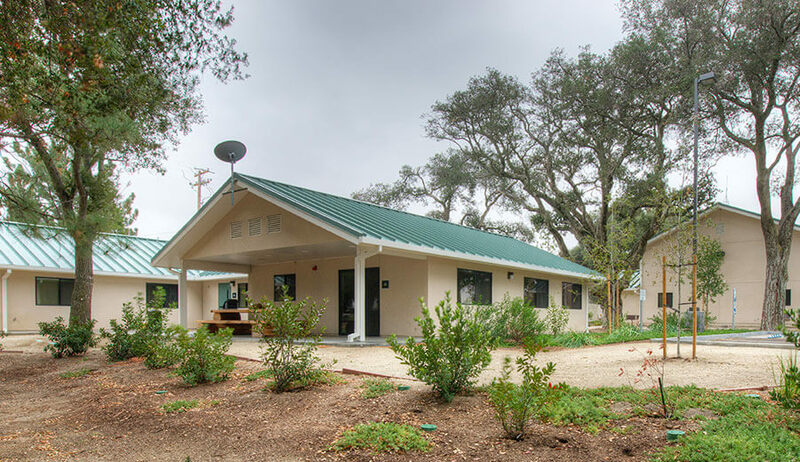 The new barracks contains restrooms, an industrial kitchen, gym, offices and a multipurpose room. The barracks are wood framed with hardy-plank siding to match the existing mountain cabin aesthetic. 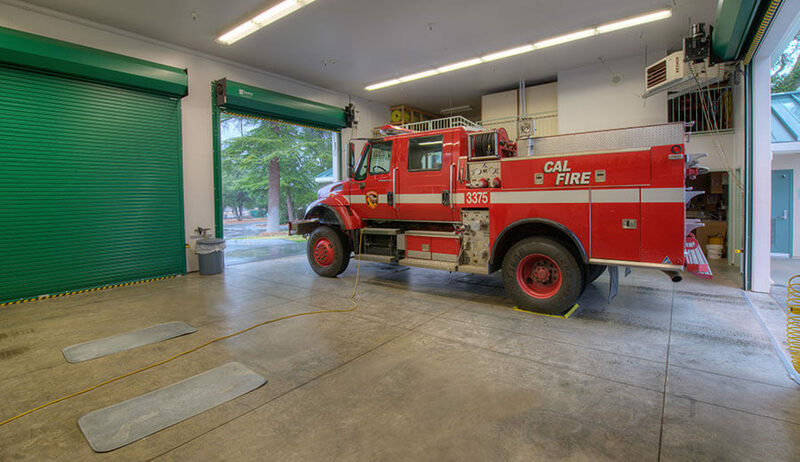 The new apparatus bay contains two engines and is also wood framed with the hardy-plank siding. The station has a new above ground 40,000 gallon water tank nearby along with underground fuel storage. The storage and pump-house are both made out of exposed concrete masonry block. The pump-house also houses the utilities and emergency generator. Some of the trees in close proximity to the site required special protection which increased the skill and oversight needed for such tasks as utility trenching. The adjacent highway also required new warning lights to prevent collisions with engines as they leave the site.